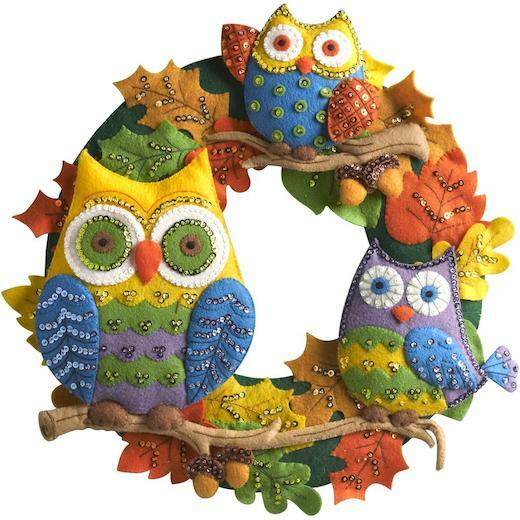 Bucilla Wreath Felt Applique Kit. 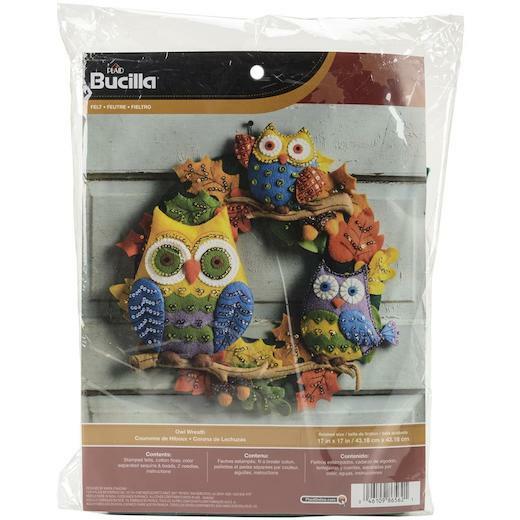 Festive designs, quality materials and generous embellishments continue to make Bucilla felt kits a favorite stitchery tradition. Finished dimensions: 17 x 17 inches.